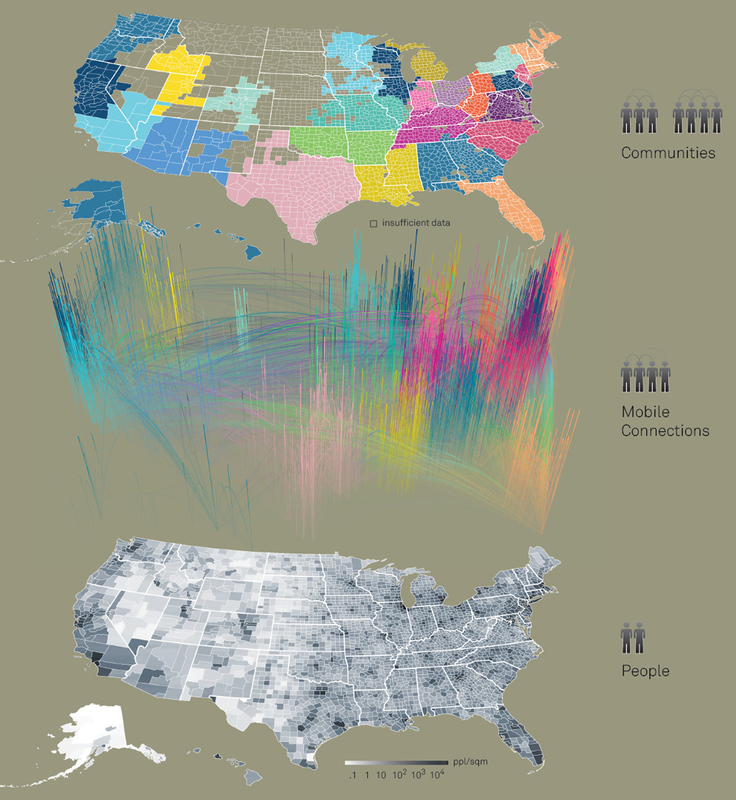 This page provides our visualizations of the communities based on the anonymized, aggregated call and SMS connections. Please let us know what you think in the comment section below. We are also looking forward to hearing from you about the geographic peculiarities. Through communication people across the United States (in fact around the world) are more connected with each other than ever. The ubiquitous nature of mobile phones allows everyone to maintain friendship, family, and business relationship with ease. The Connected States of America graphic shows three layers: The United States of America experience an increase in urbanization which is shown in the lowest layer representing the population density per square mile. The center layer shows the mobile connections between the people, where a link represents reciprocal phone calls and the color assigns the respective community which in turn are shown in the communities layer. The height of the link represents call volume between any two counties.